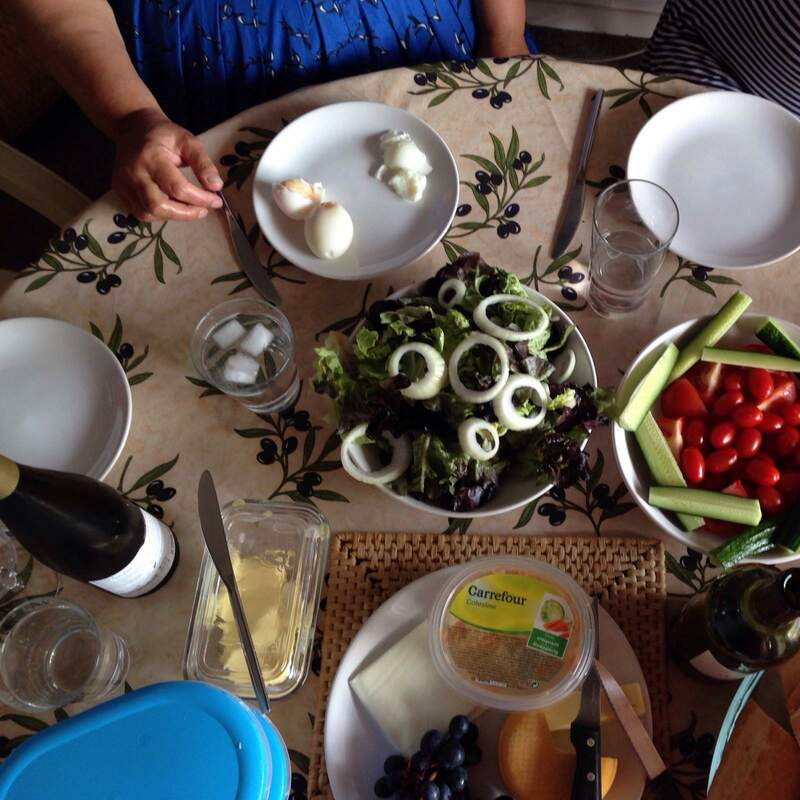 When I was growing up, family time at the dinner table was pretty important. My dad worked shifts, and we might not see him during the day, and we’d have to be quiet while he slept. But at meal times we’d all get together and eat round the table. We had a fantastic pine table; the kind that wouldn’t look out of place in a farmhouse. 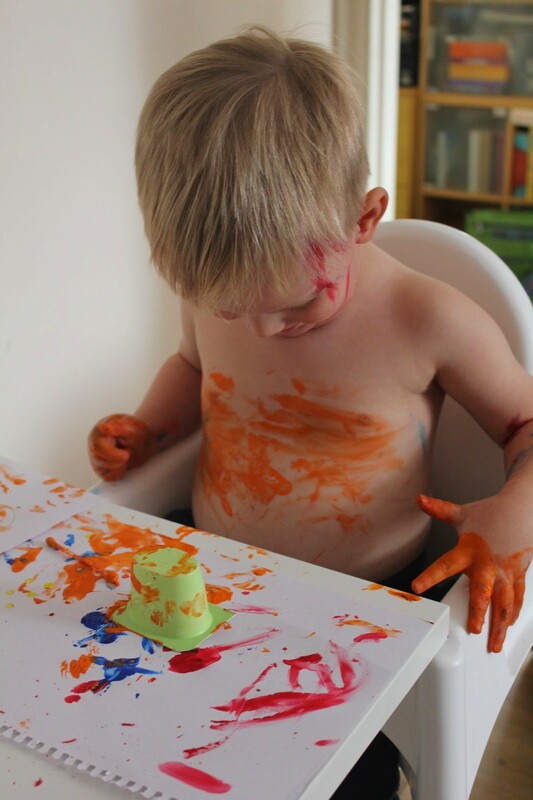 That table had cars driven over it, some enthusiastic painting sessions, and we sat at it as toddlers to play with plasticine. There wasn’t much chance of lasting damage, as whatever we threw at the table it could either be wiped off, or (for the serious issues) sanded off and re-varnished. As we grew up, at breakfast time before school we’d eat our porridge together, setting us up for the day, and after school it would be the homework station. We’d never watch the television while we ate, and it was a very rare meal indeed that was eaten on our knees in the living room. The kitchen table was super important. Now I have a family of my own, it is really regrettable to me that I live in a small flat without space for a permanent table. We have an IKEA table which folds down along one edge of the living room, and folding chairs that slip into various spaces around the flat. The table isn’t often put up, because it’s not easy to pull out and put up without considerations for the (cream carpeted) floor. So, because sitting down to eat is a basic requirement of civilised life, I have a couple of options. We love the IKEA chairs, which are light and sturdy, and fit behind our sofa. 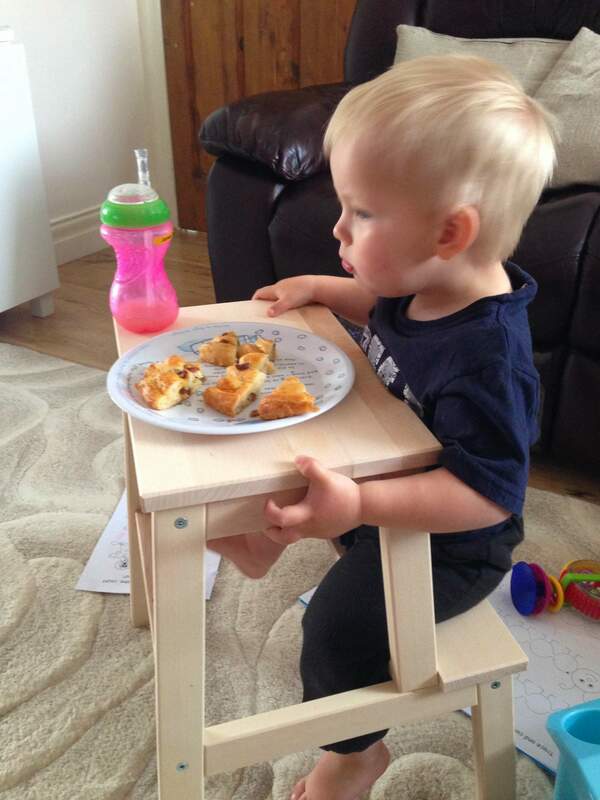 We use a Lack table (with a fabulous Limmaland sticker on the top), and the boys sit together while eating. 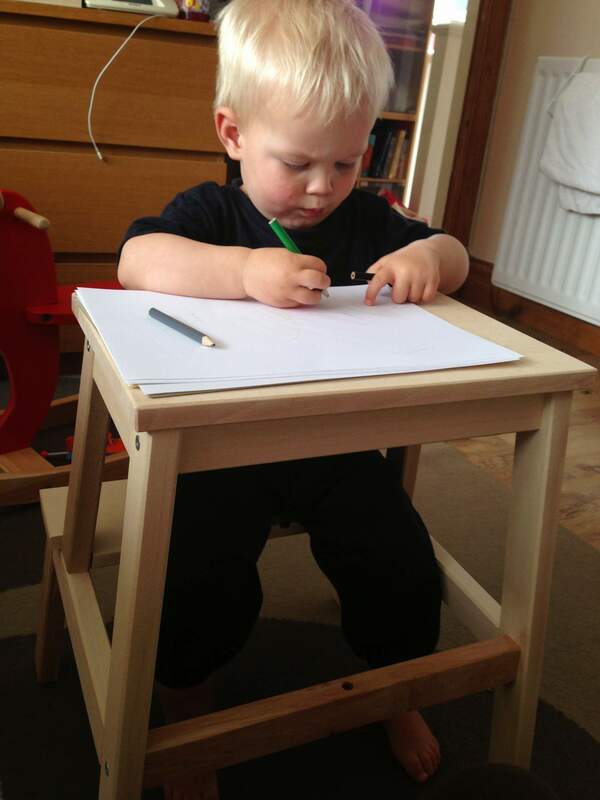 Another option is to use the IKEA footstool, which makes a table and seat for little ones. 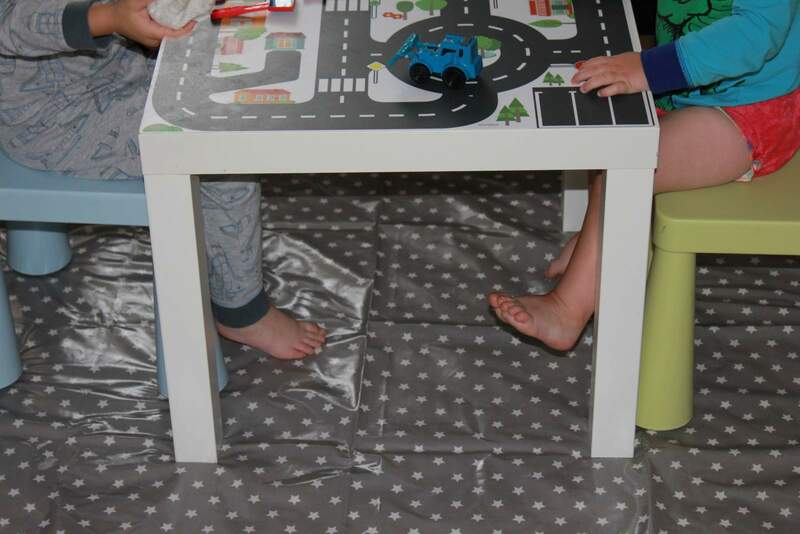 Unfortunately the top of the footstool has a hand hole, so a sheet of acrylic plastic by a company like Simply Plastics, can be laid on the top to make a table top. This is lightweight and easily washed, so it’s perfect for this purpose. Putting little rubber stoppers on the acrylic sheet, like you find on the inside of kitchen cupboard doors, makes it less likely to slip on the top of the stool. The acrylic is resistant to marker pens and is a good surface to play plasticine on, too. We interchange ours with a flexible silicone sheet by Oogaa Silicone Placemat (Green) (affiliate link), though they’re not quite as resistant to pen marks. One day I’ll get my permanent family table, but until then, these options work for us in our flat. Is it totally crazy to take young children to a boutique hotel?